Does Seth MacFarlane have feelings? 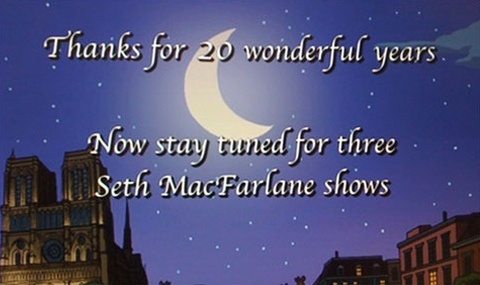 I suspect we’ll never know why one version aired over another, but Gawker and the New York Times have half-heartedly speculated the latter was axed to spare Seth MacFarlane’s feelings. Then again, does a wealthy man like Seth even care what others think about him? Highly unlikely. I didn’t think they were gonna do “Moon River”, but then BAM, second encore! 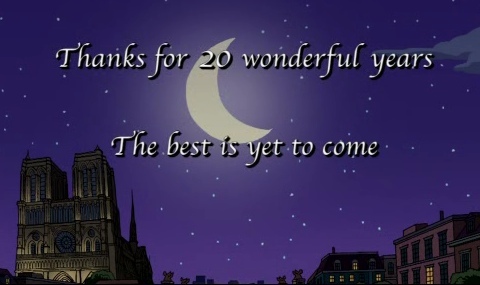 I thought they changed the ending because that episode was followed immediately by the “special” rather than a MacFarlane thing. Bingo. Since Sunday’s episode was actually the 451st, one can assume that the jab at MacFarlane would have made sense if the Spurlock Special had aired after the actual 450th episode (“Thursdays with Abie”). That first screencap will haunt my dreams for weeks to come.